The Guzheng (pronounced "Goo-Zheng"), originally known as "Zheng", is a plucked string instrument that is part of the zither family, related to the Japanese koto, Vietnamese dan tranh and Korean kayagum. In fact, the guzheng is one of the most ancient Chinese musical instruments that recorded in written documents in the Qin dynasty (about 220 BC). 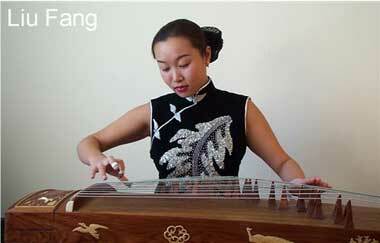 Due to its long history, the zheng has been called guzheng or Gu-Zheng where "Gu" means "ancient" in Chinese. Guzheng is build with a special wooden sound body with strings arched across movable bridges along the length of the instrument for the purpose of tuning. In the early times the zheng hat 5 string, developed into 12 to 13 strings in the Tang Dynasty (618 - 907AD) and 16 strings in the Song and Ming dynasty (from the 10th to 15th century). The present day zheng usually has 21-25 strings. The instrumentalist plucks the strings with the right hand and touches the strings with the left hand to produce the desired pitch and create subtil tones and ornaments. The gu-zheng has been a popular instrument since ancient times and is considered as one of the main chamber as well as solo instruments of Chinese traditional music. 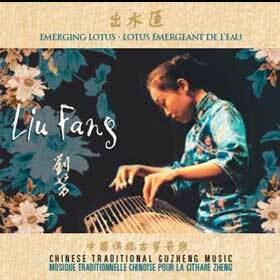 Since the mid-19th century, guzheng solo repertoire has been growing and evolving towards an increasing technical complexity.